News from LMCU: Kids heading off to college? Financing college for a son, daughter or relative is a challenge. Even after scholarships, federal loans and personal funds, you can still come up short. Now you can fund college the smart way with great repayment options and competitive interest rates. 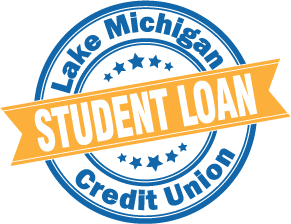 The Smart Option Student Loan® for Lake Michigan Credit Union* by Sallie Mae® is an ideal solution to help bridge the gap between federal loans and the cost of your education expenses. Fast Online Application. About 15 minutes! To learn more or to apply, please get started here: www.LMCU.org/banking/studentloans.aspx *LMCU is compensated for the referral of Smart Option Student Loan customers.